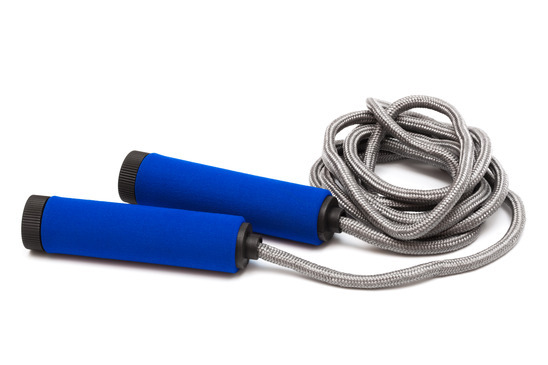 Jumping Rope – Not Just For Kids! You don’t have to kill yourself to lose weight, tone up, and altogether get your early 20 something body back. In fact, you don’t even need to go through a grueling run to burn calories. You can burn fat and shed weight (in a shorter amount of time) than running alone—and with far less risk of injury. Here’s why you need to take on your favorite activity as a kid—jump rope—and as a bonus, have a blast working out! Are you serious about your weight loss goals? Want to get fit in as little time as possible—but admit that you’re a bit, ahem, older than you were the last time you did a hard-core exercise plan? One of the biggest setbacks you can experience as you get into shape is an injury from pushing yourself too hard, and placing too much strain and pressure on your joints. Running, for example, may seem like the logical choice to get in shape, but in reality, it places serious wear and tear on your body—and that’s if your posture is on point. Jump rope forces you to work out not just your major leg muscles, but your core, your back muscles—and the best part of all is, you won’t struggle with bad form (bad form = bad injury). Skip Your Way to Slim! • Start in the standing position, and for sixty seconds, swing your rope (while holding it with both hands) in a figure eight position. Swing it from side to side, with your feet firmly planted on the ground. • Repeat this workout three times, or more if you can. Have fun with jumping rope, as it’s a great way to add some variety into your workout, get your heart rate up and work your way towards a lean, sculpted body! Is strength training the way to go if you’re trying to lose weight? 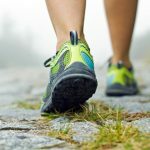 Is Just Walking Enough to Get in Shape? 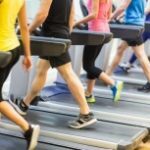 Can I skip cardio if I’m weight training?